Dr. Tara Smith joined Bangor Law School in 2015, where she currently lectures and researches cross-cutting areas of international law. In 2013, after a period of study at the Irish Centre for Human Rights, Dr.Smith was awarded a PhD in Law by the National University of Ireland Galway for her research into the protection of the environment in non-international armed conflict. Dr. Smith has previously worked with the Law Reform Commission of Ireland on a project to reform corporate criminal law and regulatory law in Ireland in response to the banking crisis and economic collapse in 2008.Prior to that, Dr. Smith was a Policy Advisor with the Irish Department of Foreign Affairs and Trade, where she worked in the Environment and Climate Change Department of Ireland’s overseas development agency, Irish Aid. Dr. Smith played a key role in certain events during Ireland's Presidency of the EU in 2013 and during this time she was also an active member of the Irish Delegation to the United Nations Framework Convention on Climate Change negotiations at COP18 in Doha and COP19 in Warsaw. She was also a member of the EU Expert Group on Adaptation, developing EU policy on climate change adaptation for the international climate negotiations. 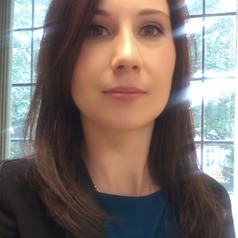 Dr. Smith previously coordinated and lectured on the first undergraduate human rights degree programme in Ireland at the Irish Centre for Human Rights, NUI Galway, and she has previously contributed significant research to the post-conflict and transitional justice work of the International Institute for Higher Studies in Criminal Sciences (ISISC) in Siracusa, Italy. Dr. Smith has also previously been awarded an LL.M degree in International Human Rights Law by the National University of Ireland Galway, and received her primary degree in law from University College Dublin. Dr. Smith is a qualified Attorney-at-Law in the State of New York. Dr. Smith’s research interests are based on the interaction of issues in the fields of international humanitarian law, international human rights law, international criminal law, international environmental law, public international law, transitional justice, and climate change law and policy.